A business cannot run successfully without proper management of the capital. Finance is regarded as the basis of any organisation, a business owner cannot run the organisation without managing or planning the flow of capital. It is a fact that a proper control over the cash flow will give you an idea about the condition of a business and helps one to prevent loss of revenue with a check on finance. An organisation is able to identify the potential weakness in their business only by looking at the financial data. It often happens that a company faces loss and it is mainly due to a proper wealth management planning. In order to enhance the competitive edge, a company needs to outline a financial plan. The capital market is every day undergoing major changes and one needs to keep a track of such changes for encountering future growth. Nowadays technology has blessed us with new types of software that are making our job easier and faster. In case you are finding it difficult to manage your capital flow then wealth management software can help you out with that. A business owner can get a scope to simplify the process of reporting, budgeting, and accounting by managing their capital flow. Business owners are required to get a clear understanding of the correlation between wealth and business performance. Nevertheless, one cannot be held responsible for managing the finances of a company rather employees can set their objective. In case a business is unable to cope up with financial problems they can hire an adviser. The use of a wealth management system can allow you to manage your financial assets in an efficient manner. If you want to simplify your business then you can definitely install software that can assist you while reaching towards financial goals. Now you can get thorough knowledge regarding the tools that might provide you with financial assistance. Reports: Software can simply free you from the hassle of tracking down the total cost spent on each of the asset or projects. But with the use of financial tools, one can easily get reports of the entire wealth structure of a company. Billing: The first and foremost things that an organisation need to undertake is creating a standard format for billing. A proper system of billing will enable you to generate invoices and easily circulate to your clients. In order to ensure that all the business operations are operating in an efficient manner, one needs to understand the implications of financial management. 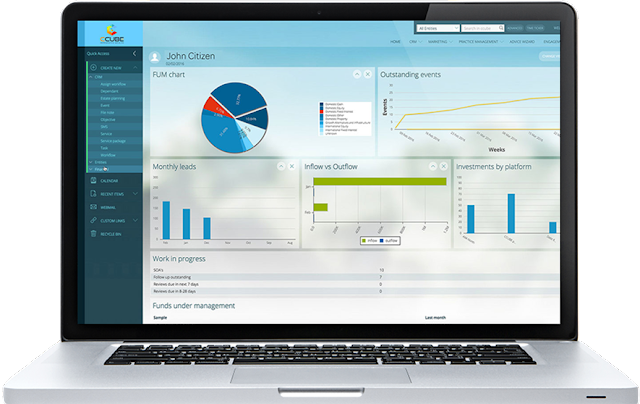 If a company want to gain maximum profit then they are required to look for reliable wealth management software. However, installation of new technology always requires proper handling. A company who is intended to install a financial tool needs to first train their staff in operating the software. Thus it can be said that a business can successfully run only if it is able to manage their financial assets and fix their budgets. Otherwise, they might end up in losing revenues and so they can rely upon financial software for keeping a track on their assets.